15 year old Andrew Fryberg passed away Friday evening. He is the fifth teen to die in the Marysville school shooting. 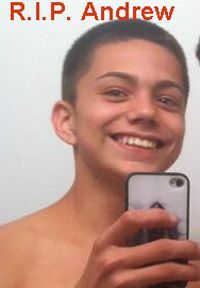 Predeceasing him were his girlfriend Zoe, friends Shaylee and Gia, and his cousin Jaylen Fryberg. Jaylen's death has been ruled a suicide, but some witnesses say he didn't intend to kill himself, the gun went off when a teacher tried to disarm him and a bullet struck him in the neck. Nate Hatch, Jaylen's 14 year old cousin who was shot in the jaw, is the only survivor among those who were shot. He was released from the hospital Thursday, and attended a memorial for Shaylee on Friday evening. Jaylen's motive is still unknown.